From out of nowhere, Para Bellum have come racing out of the blocks with a series of previews for possibliy one of the finest visual experiences in recent years. Combining influences from Geiger, Bacon and more, it's ticking all my boxes so far. 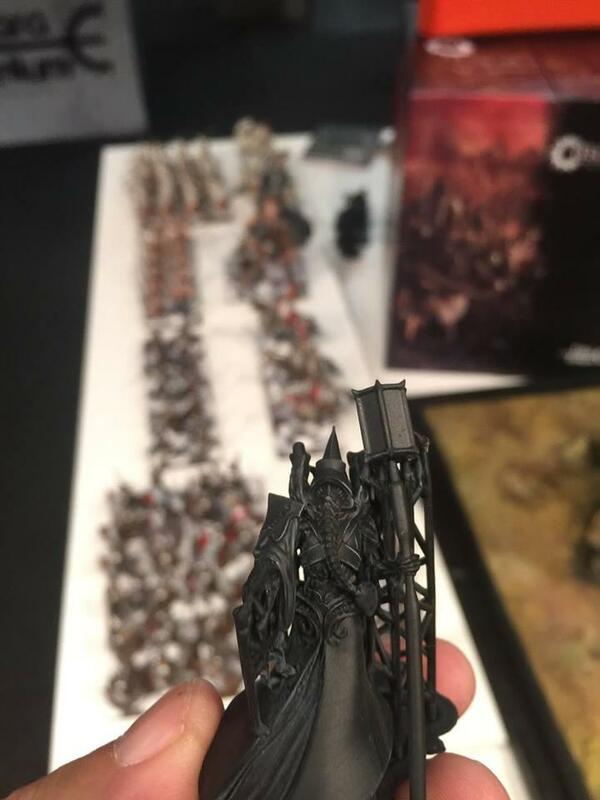 As a painter/collector, I'm sold on the minis already ad I'm really looking forward to seeing of the game mechanics can hold up too. I for one am hypnotized by this fulture Large scale (greater than 28mm... maybe 35?) Fantasy Skirmish Wargame. Last edited by 2DSick; 09-24-17 at 04:06 PM. Well the next faction revealed is one we've seen a few pictures of so far. Last edited by 2DSick; 10-14-17 at 09:55 PM. Last edited by 2DSick; 10-26-17 at 09:48 PM.